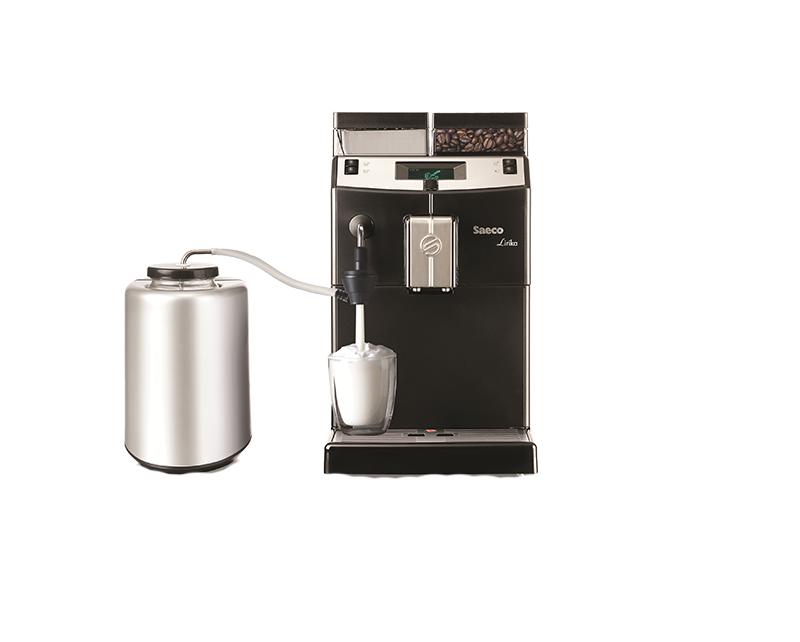 Saeco Lirika Bean to Cup Coffee machine represents the simplicity, compactness and performance of a machine whose ideal environment is home or small locations. It has a modern and essential design, high capacity water and coffee canisters and is incredibly easy to use. 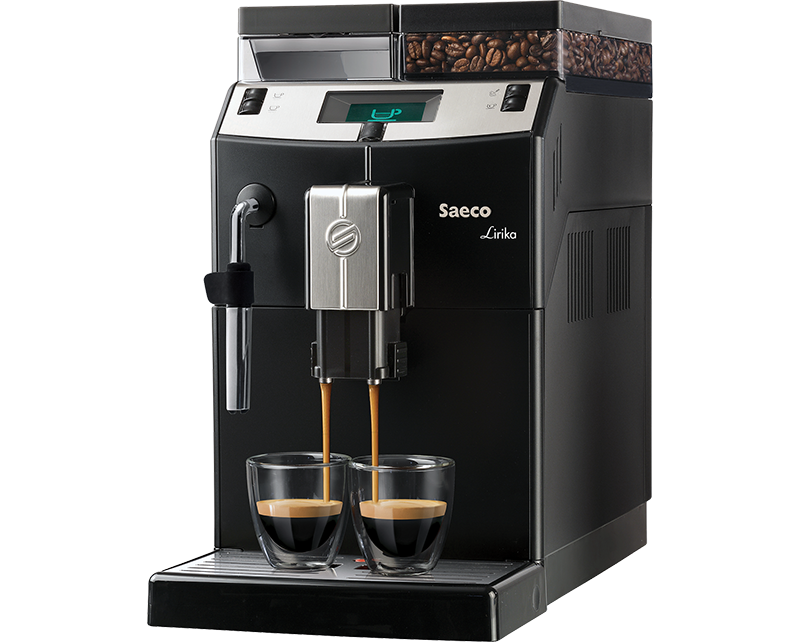 Its wide display showing intuitive icons and text messages lets the user select short or long coffees and hot water or steam delivered through an independent wand. 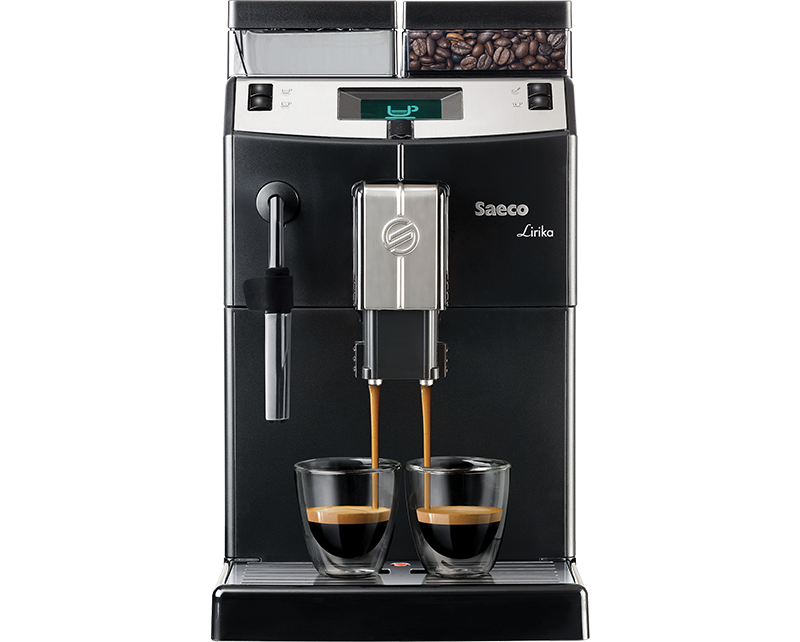 Lirika represents the best Saeco know-how in a high quality compact shape: pre-infusion system, energy efficiency class A boiler, ceramic blades, and removable coffee brewing unit to facilitate cleaning and maintenance operations.